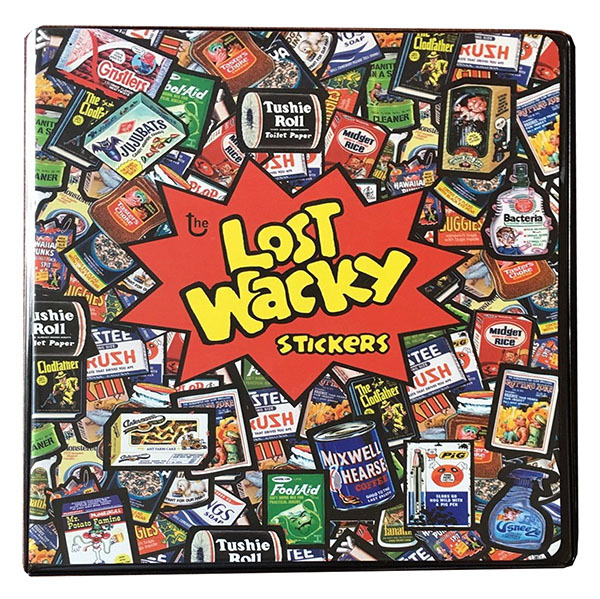 To have more fun, one of the team made a cheap Lost Wackys binder from a dime-store album with paper inserts. That turned out to be so popular that two high quality professionally made binders were eventually printed, in limited quantities. One has spine with yellow letters on a purple background and is black inside. The other has purple letters on a yellow background and is white inside. Both binders have four inside pockets.